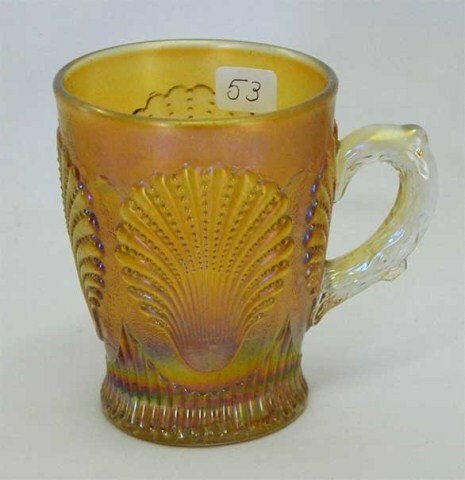 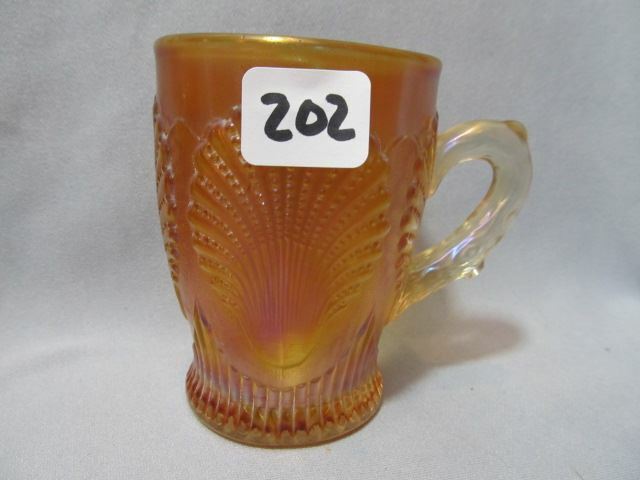 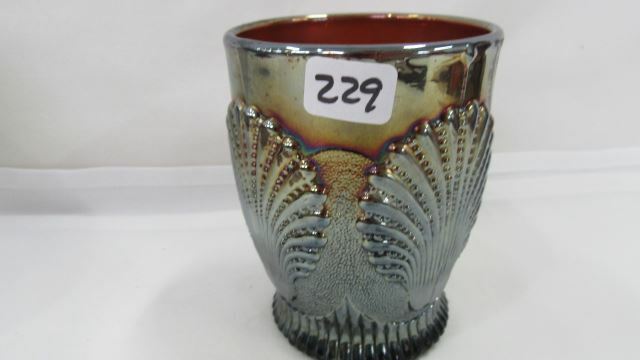 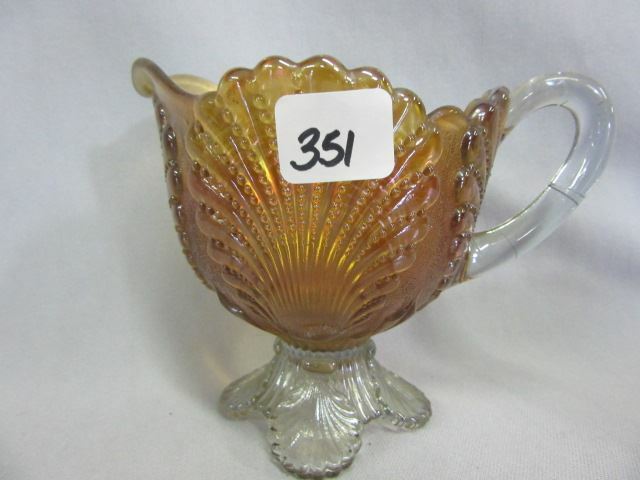 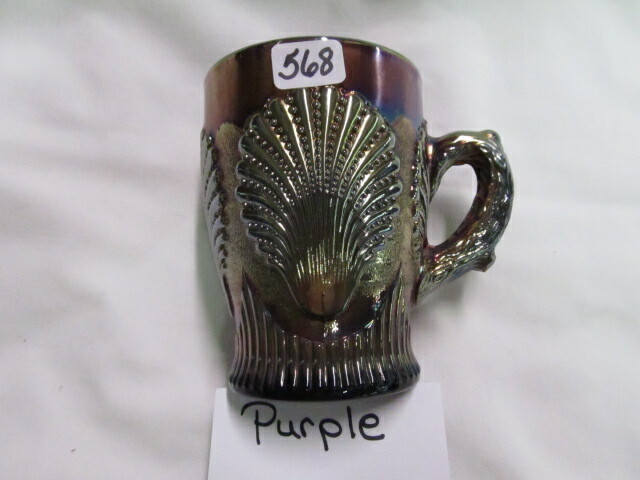 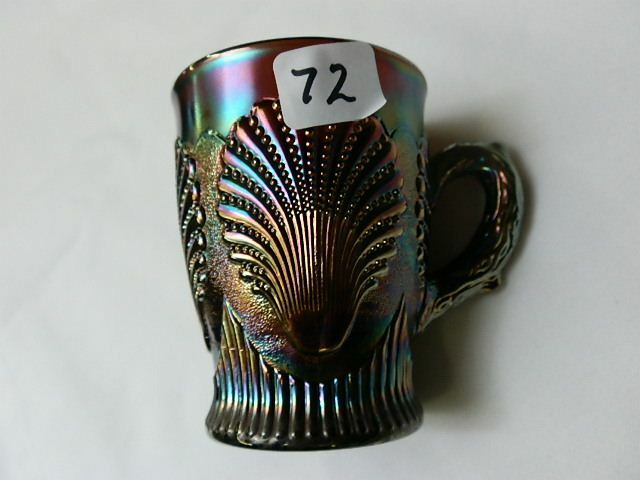 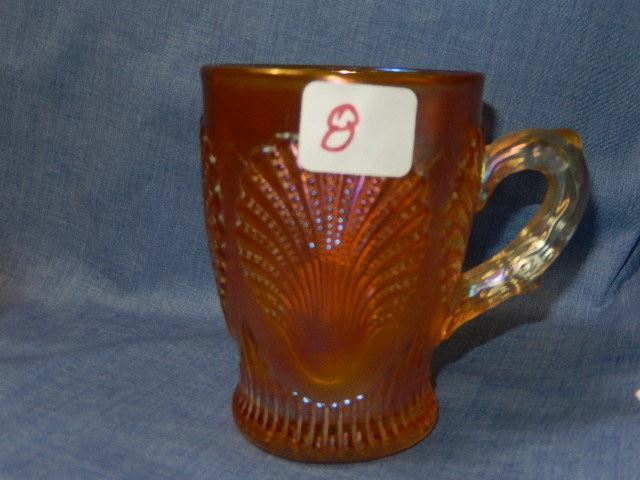 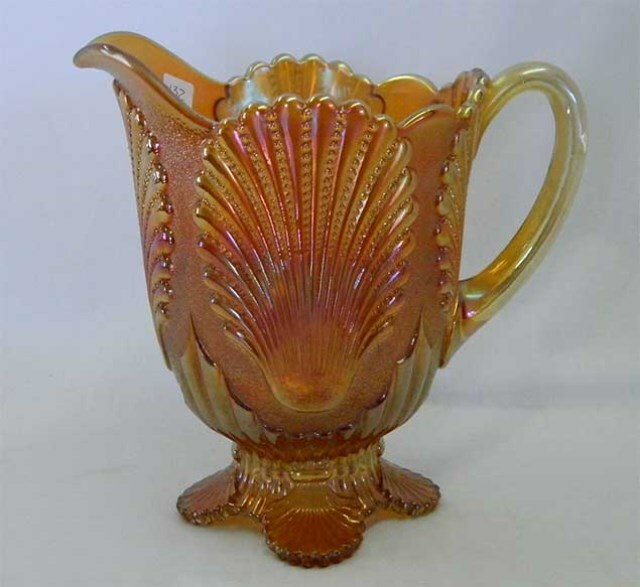 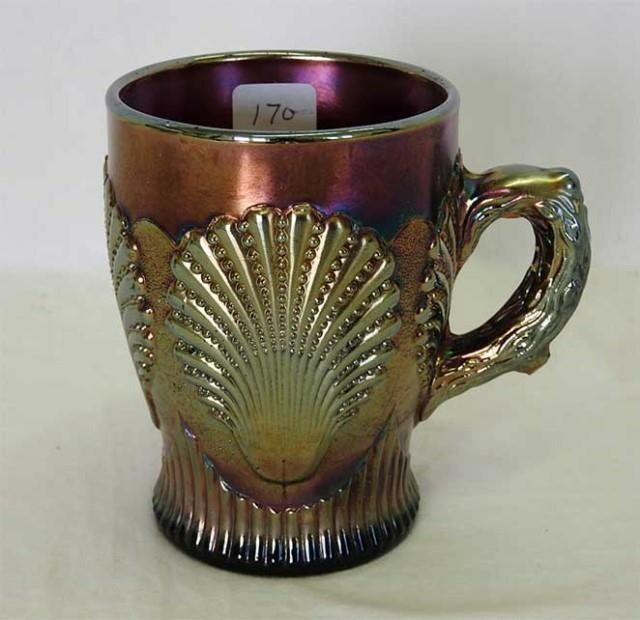 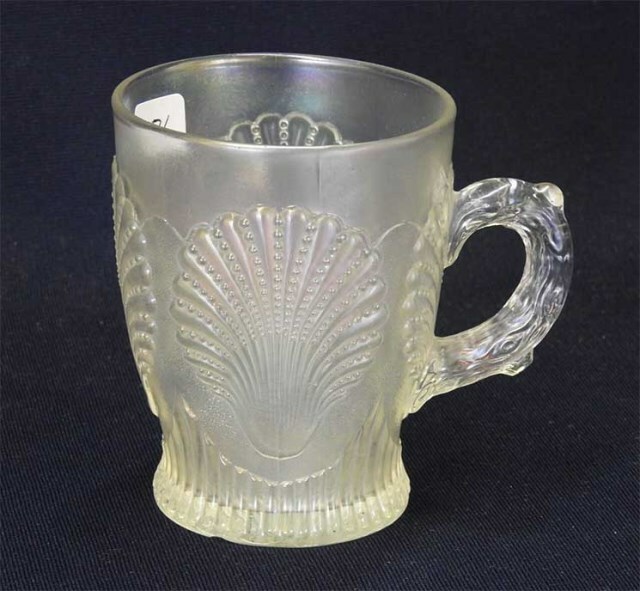 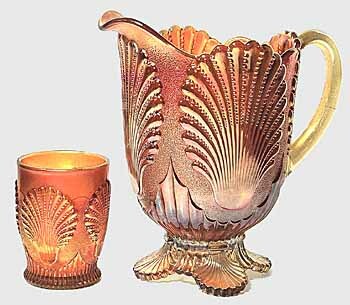 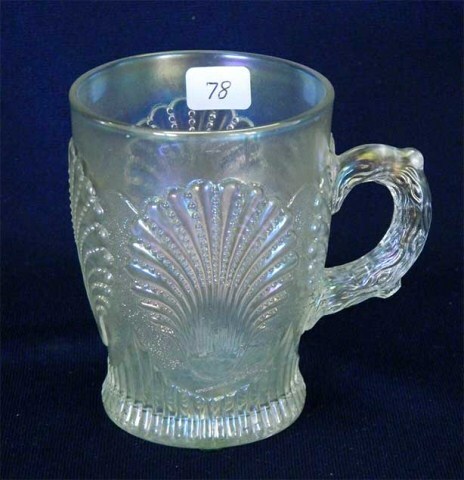 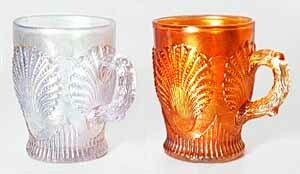 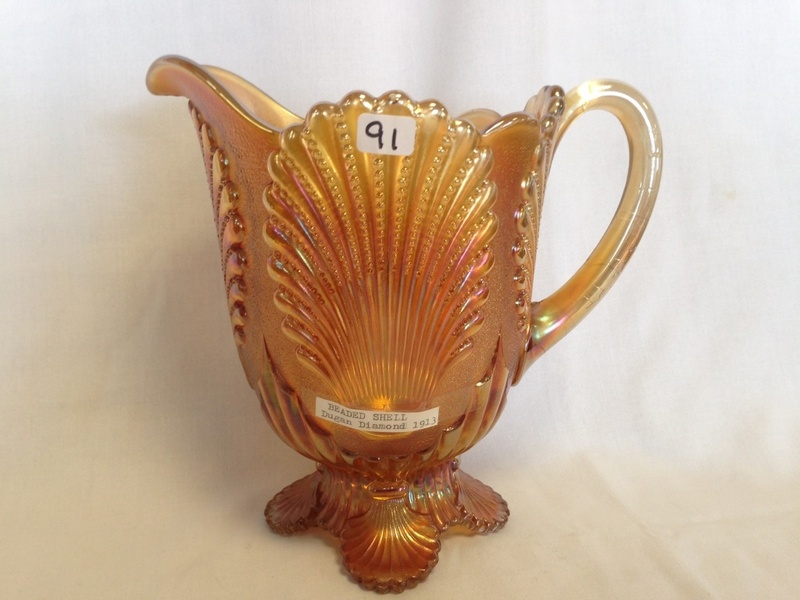 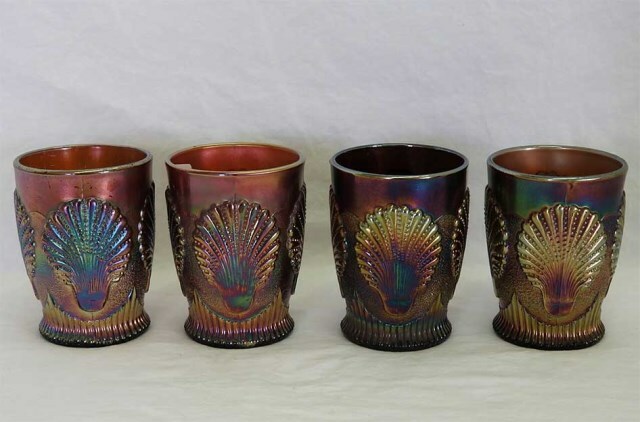 An extremely charming pattern with unique shell patterned feet on pieces other than the tumblers and mugs. 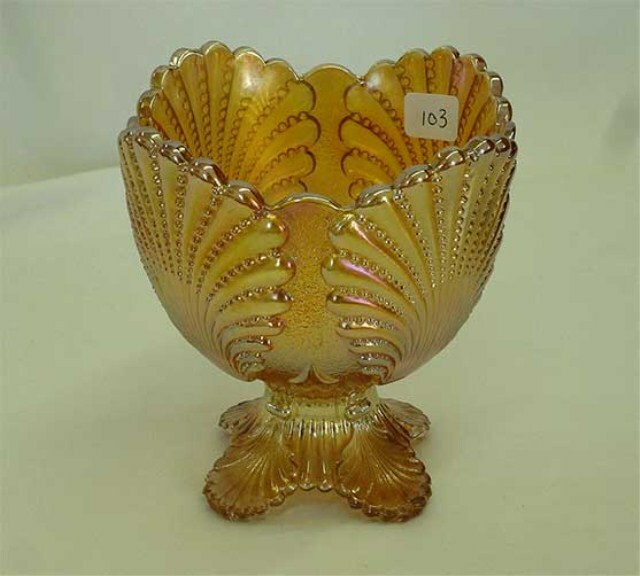 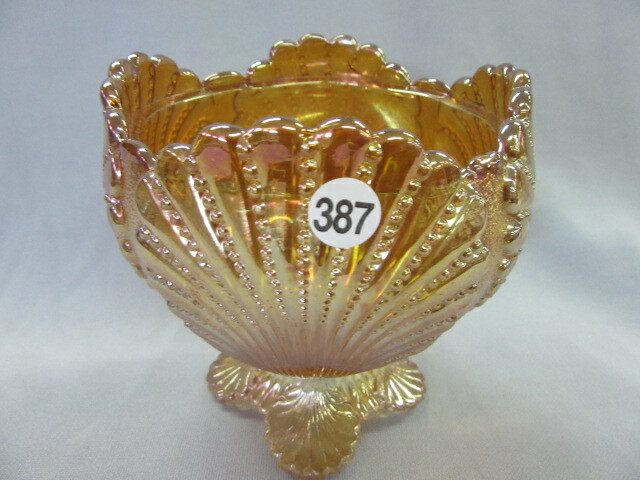 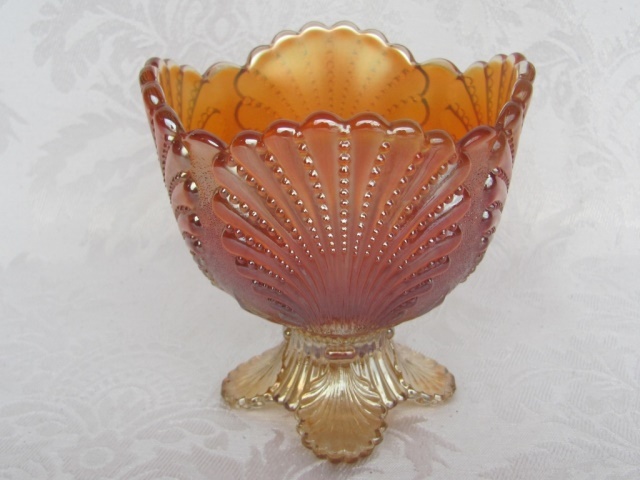 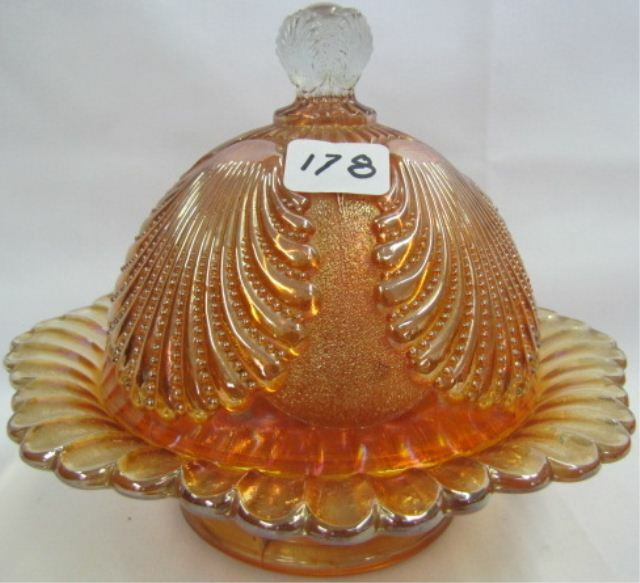 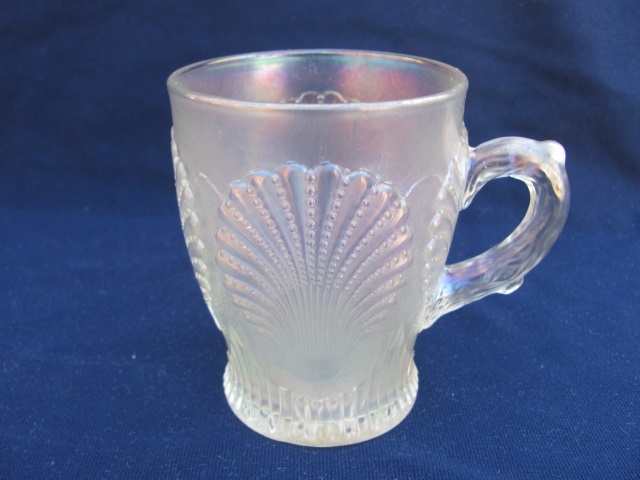 The pattern dates from before the carnival glass era. 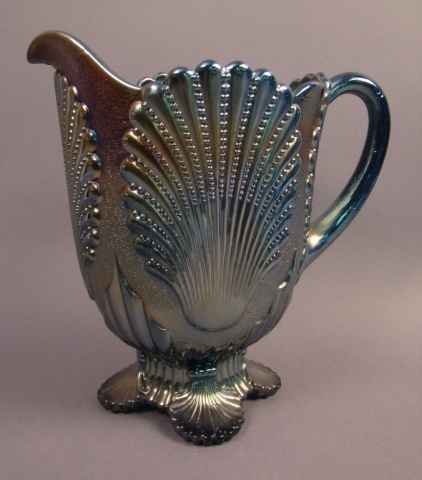 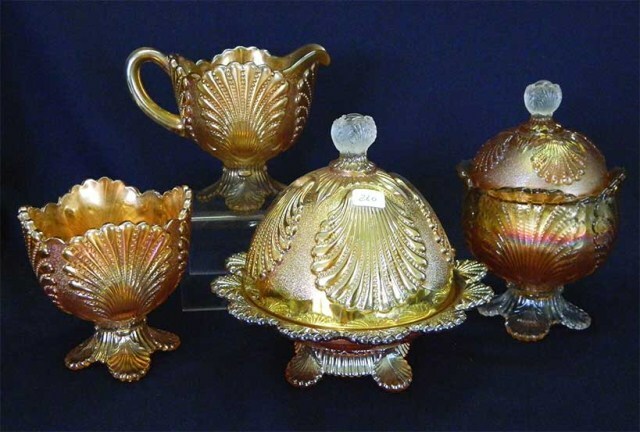 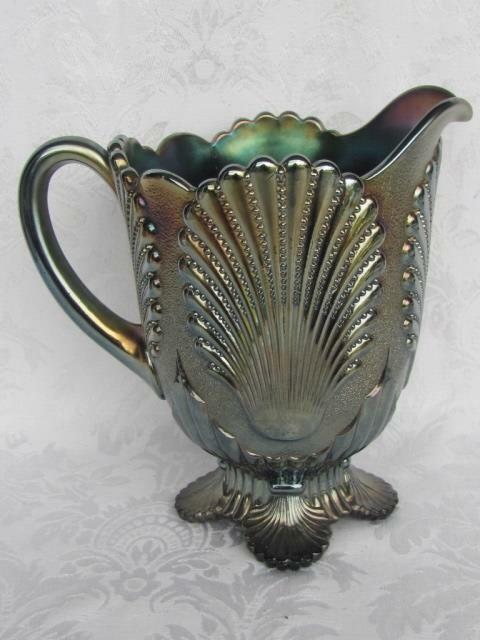 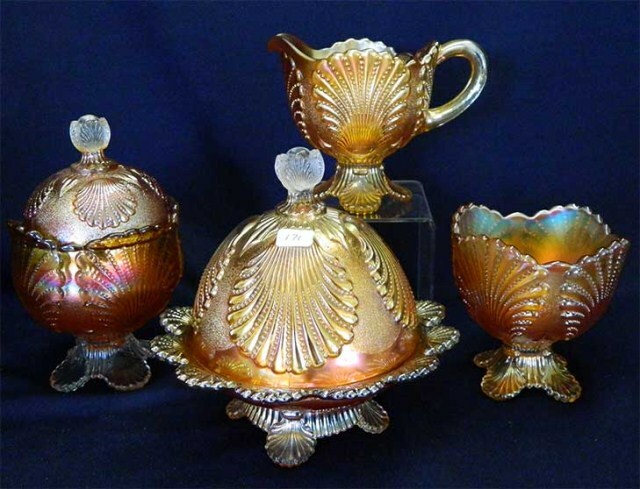 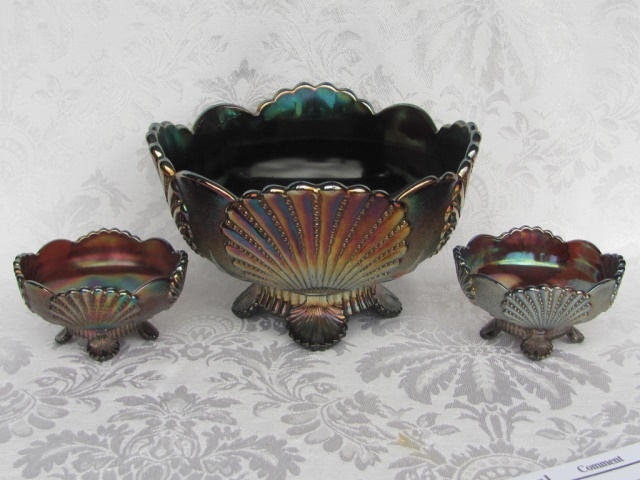 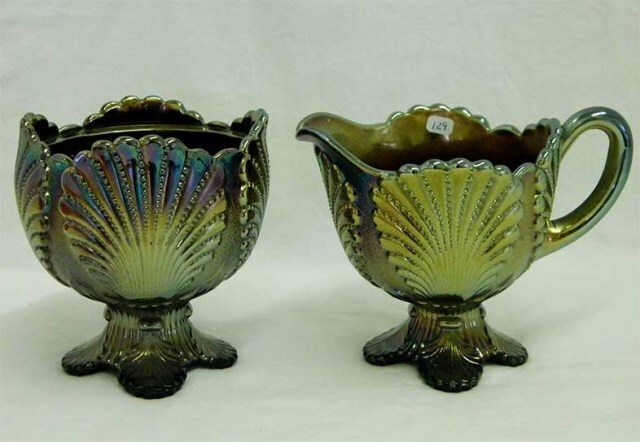 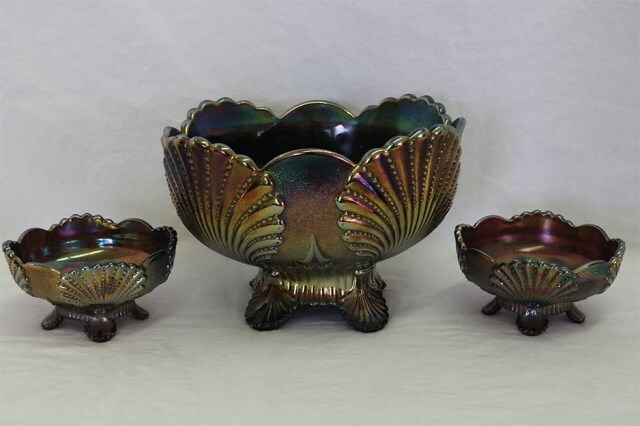 Mosser is reproducing the pattern in amethyst and green water sets and butter dishes. 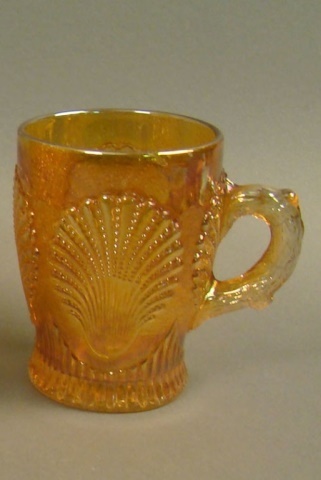 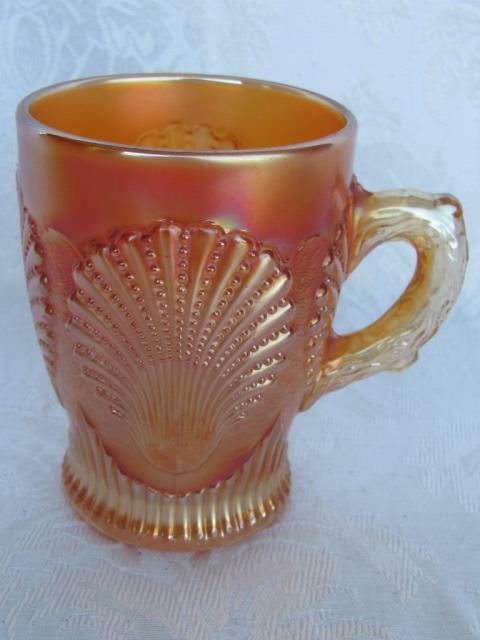 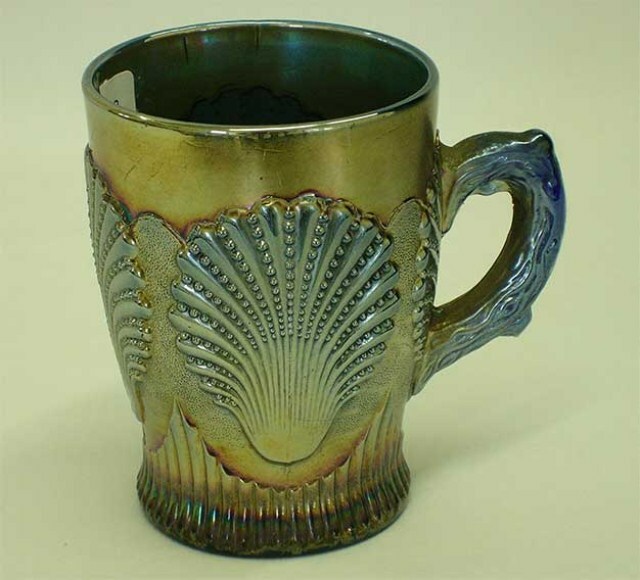 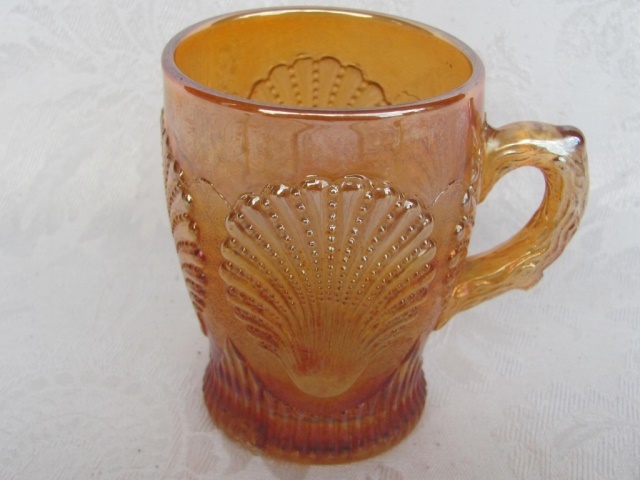 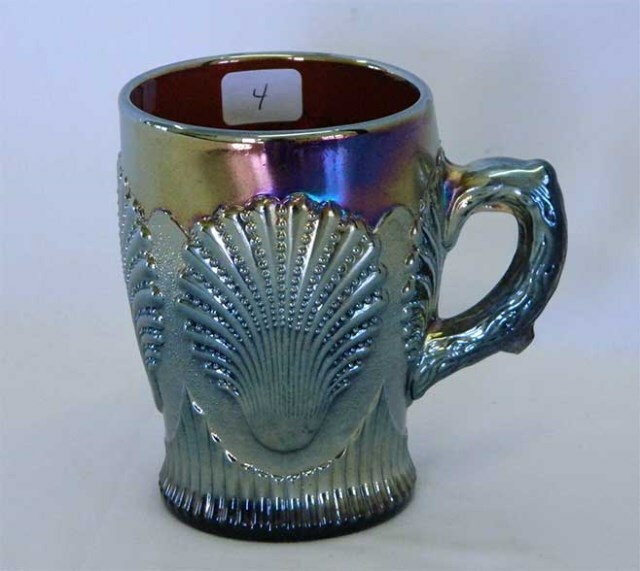 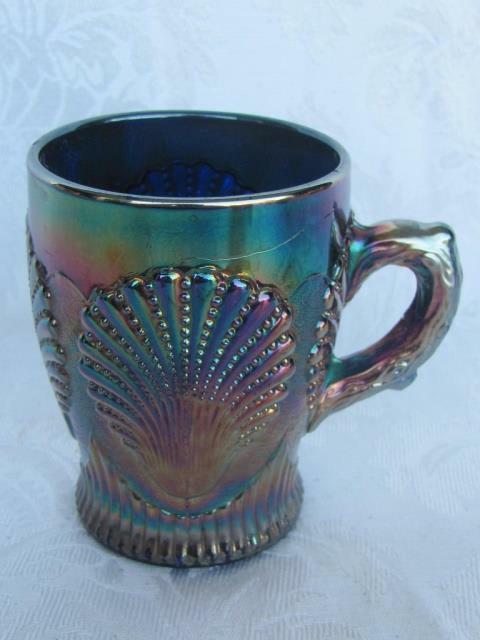 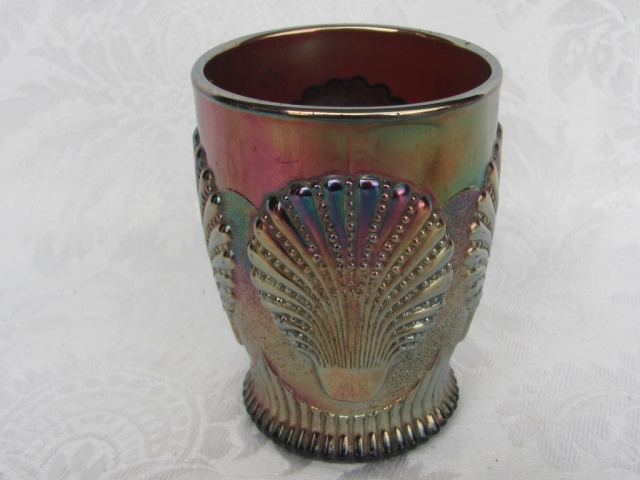 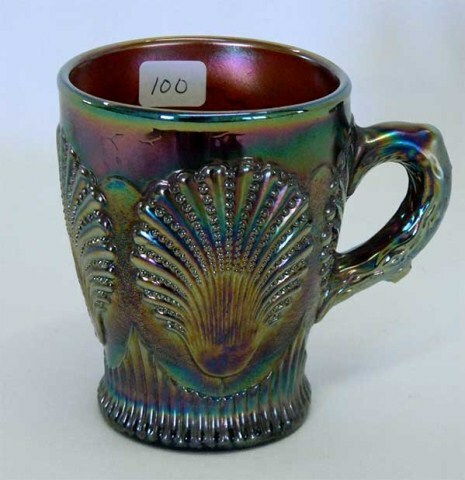 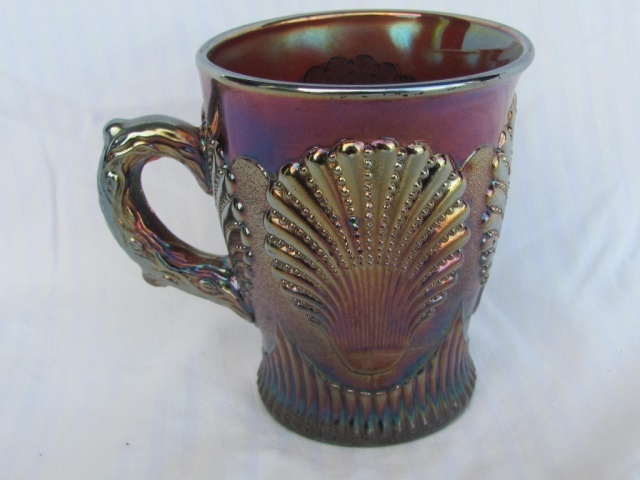 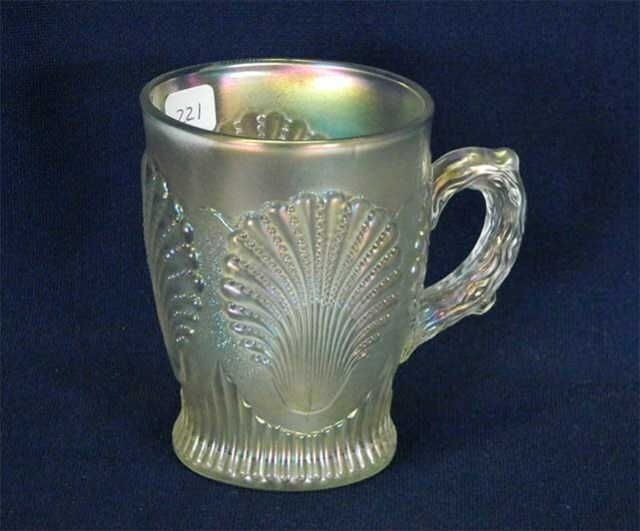 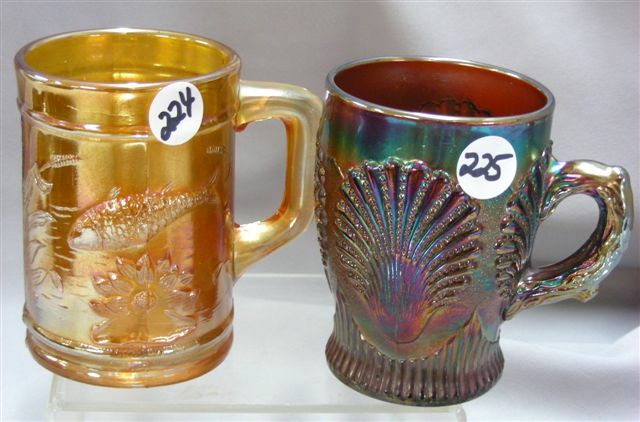 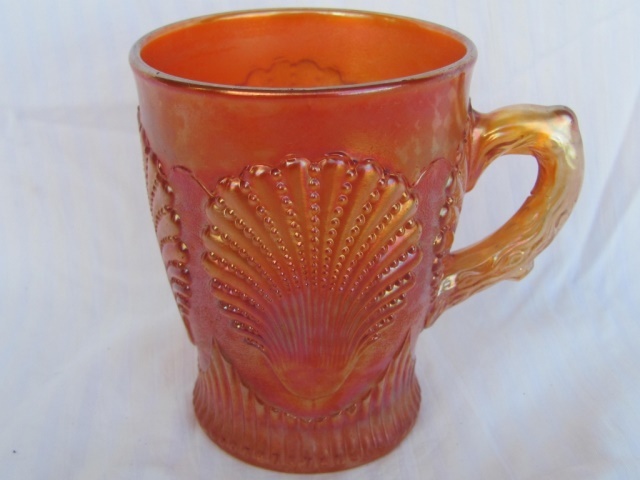 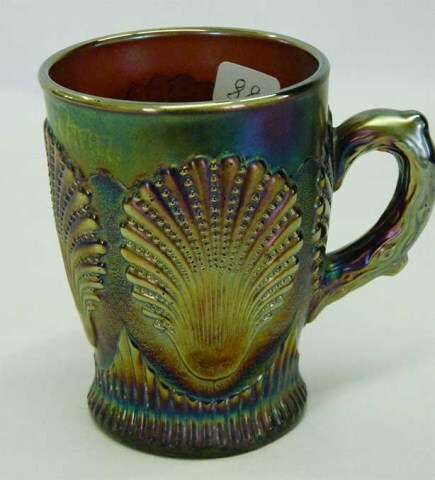 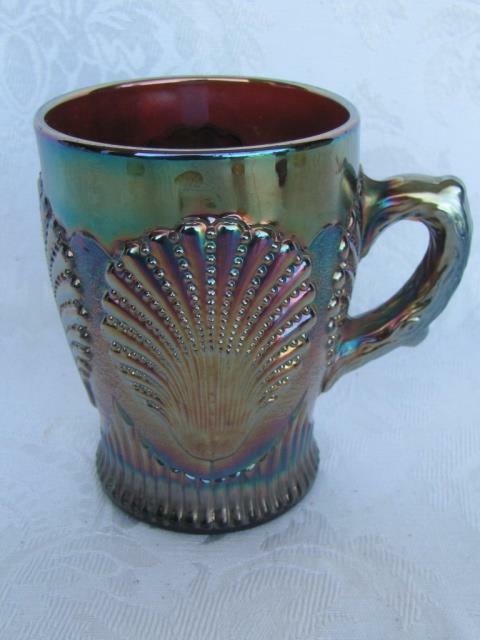 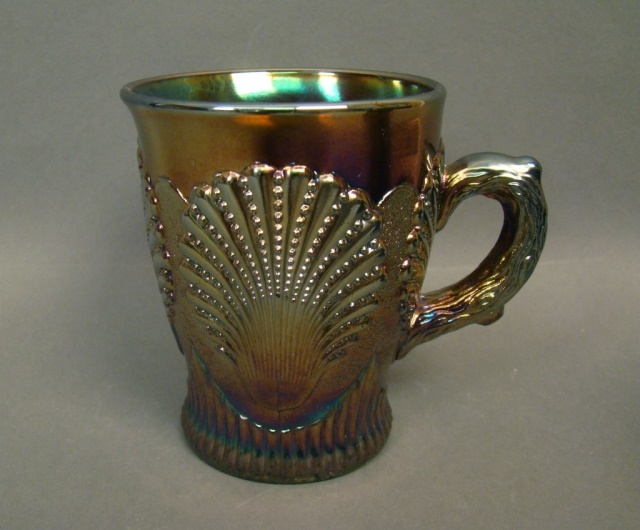 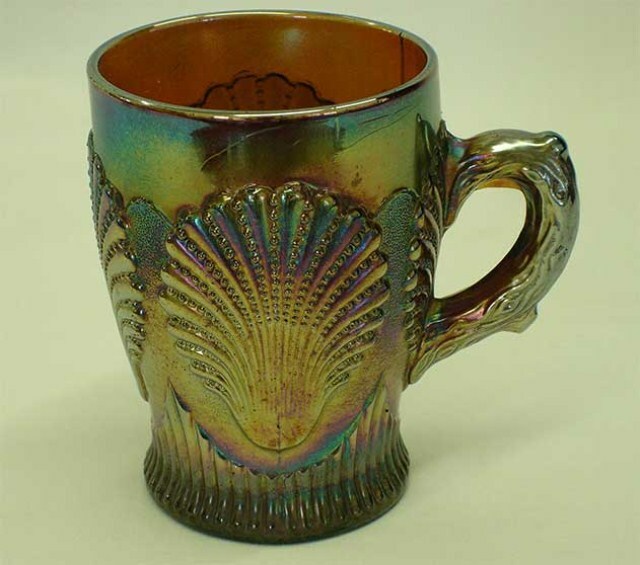 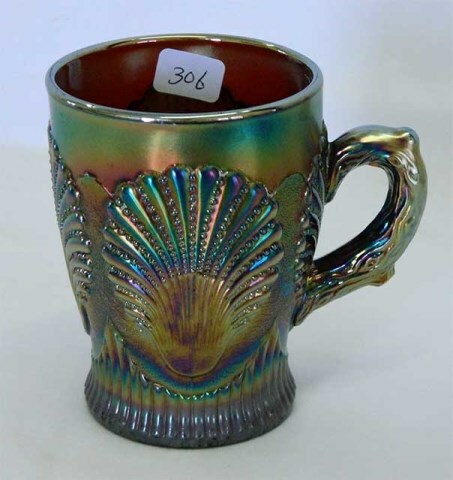 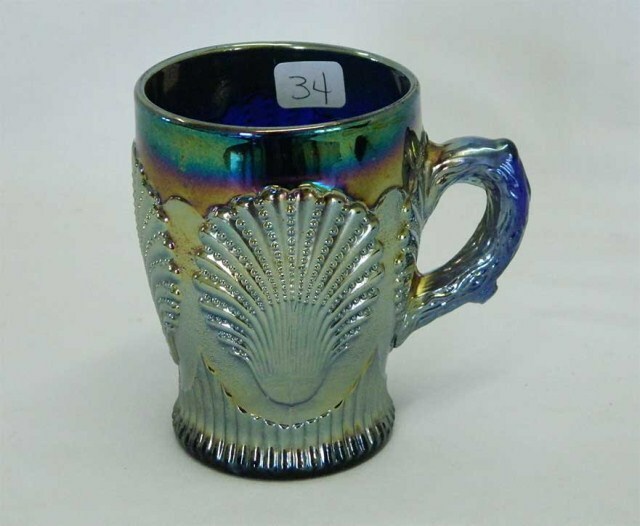 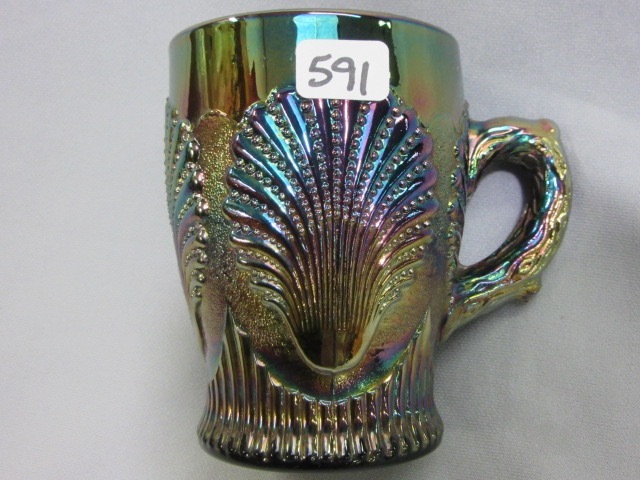 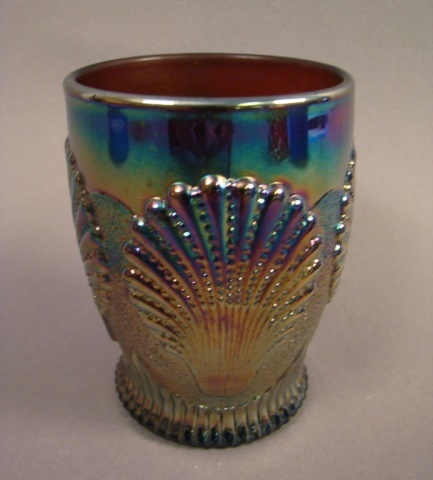 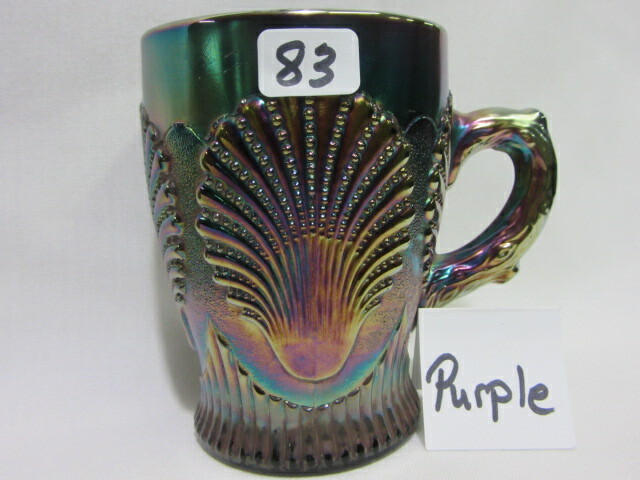 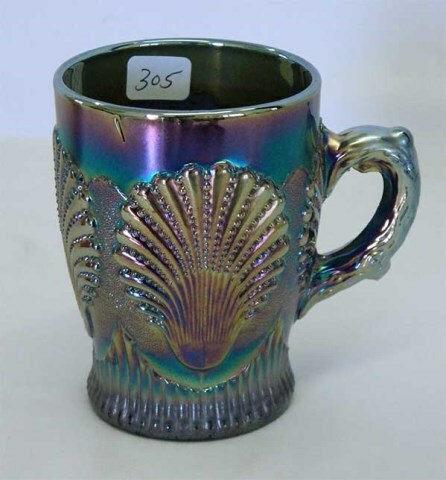 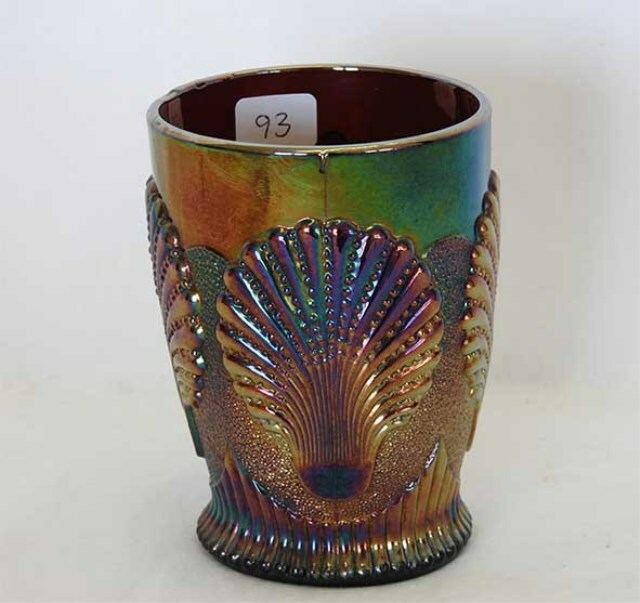 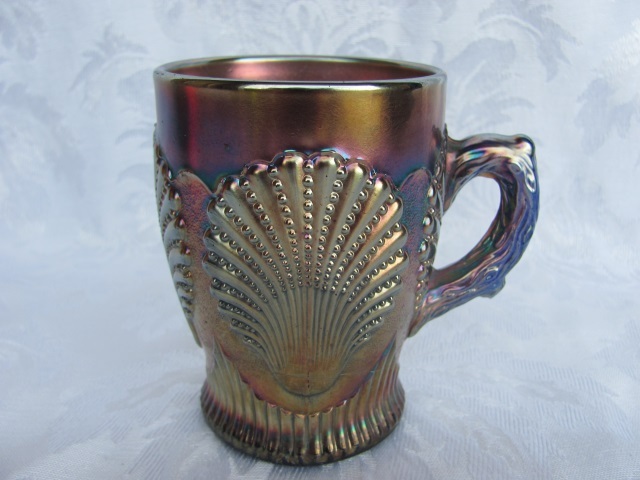 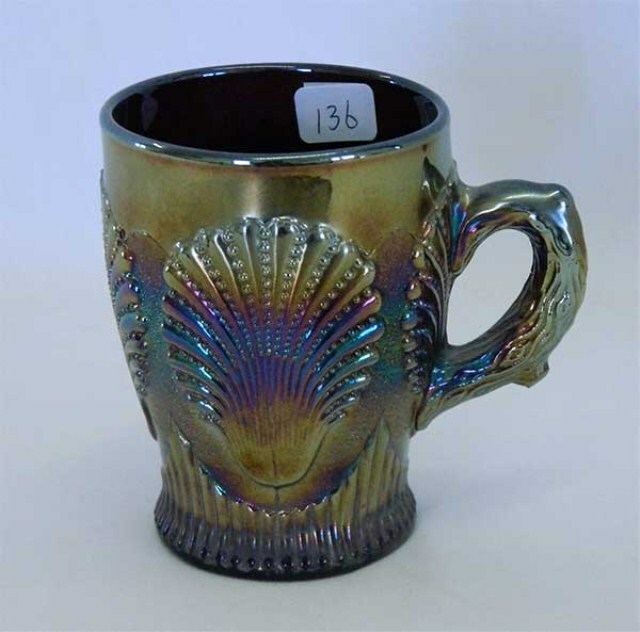 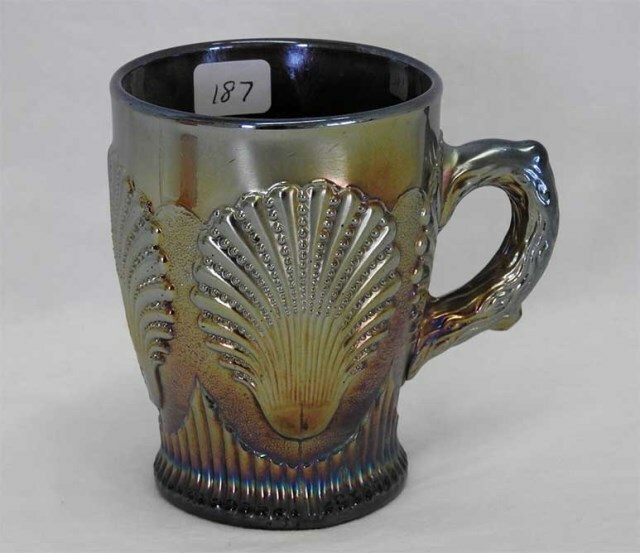 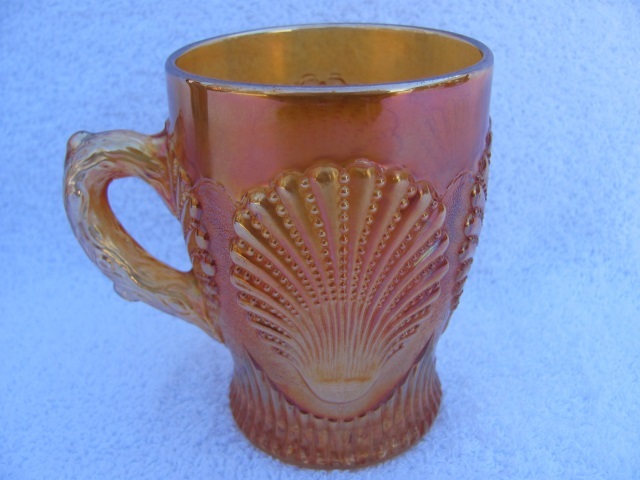 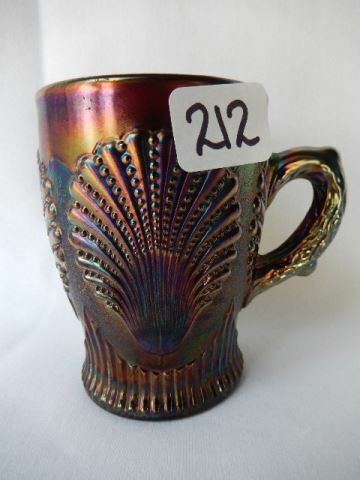 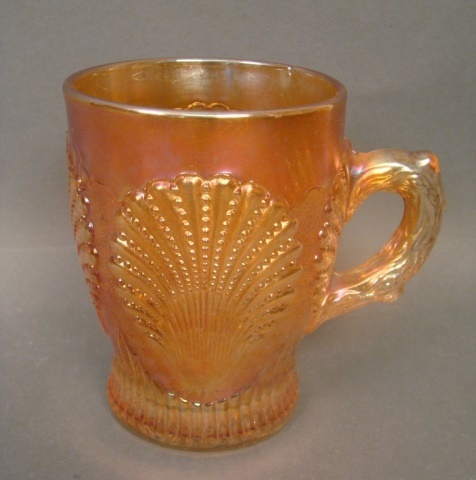 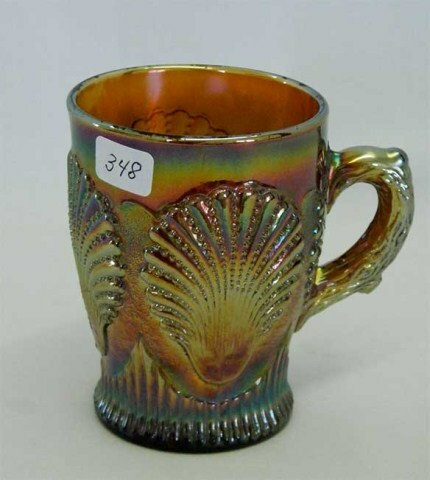 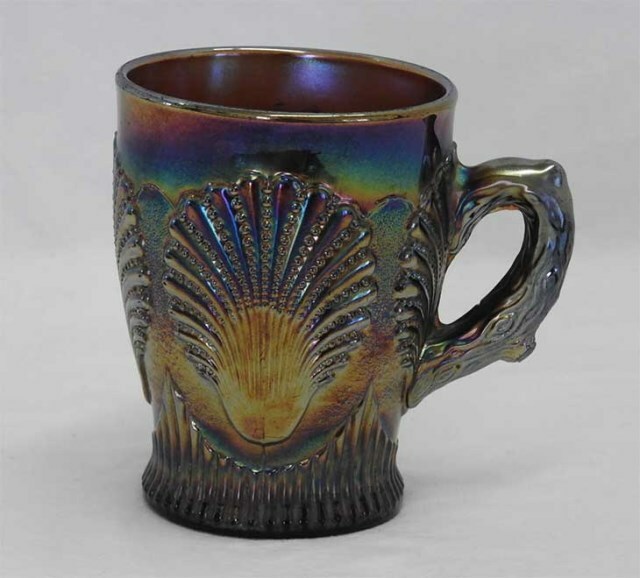 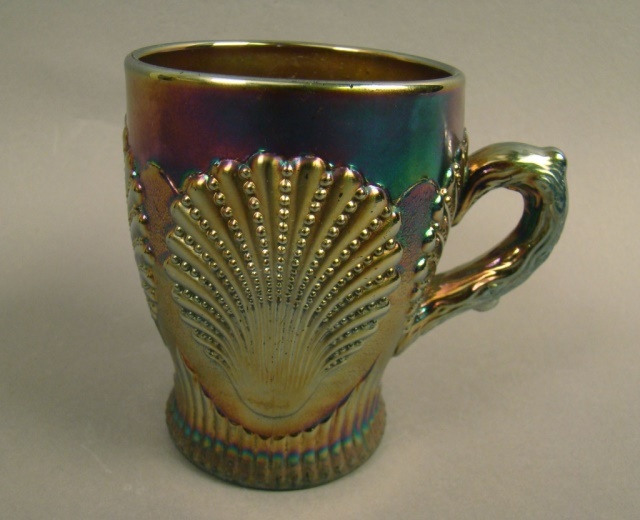 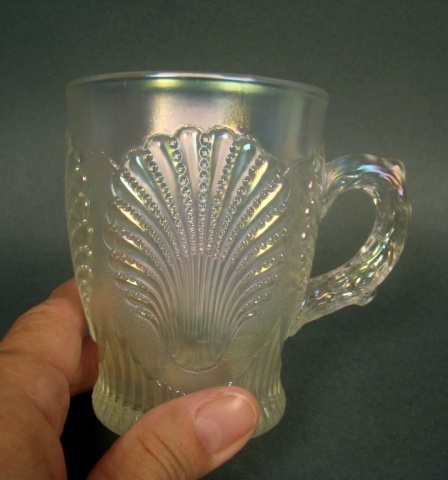 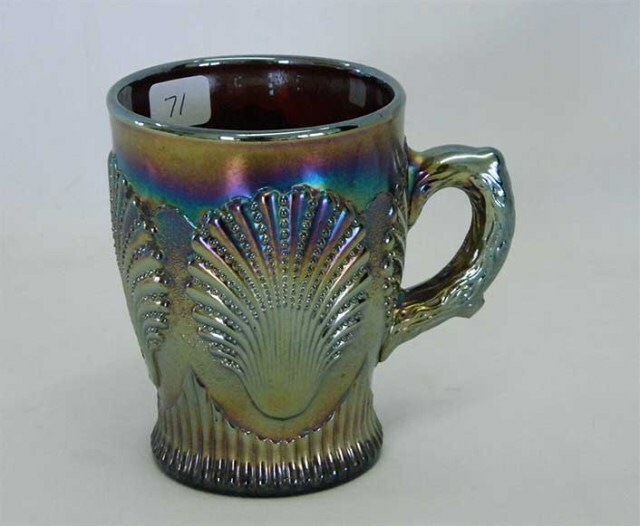 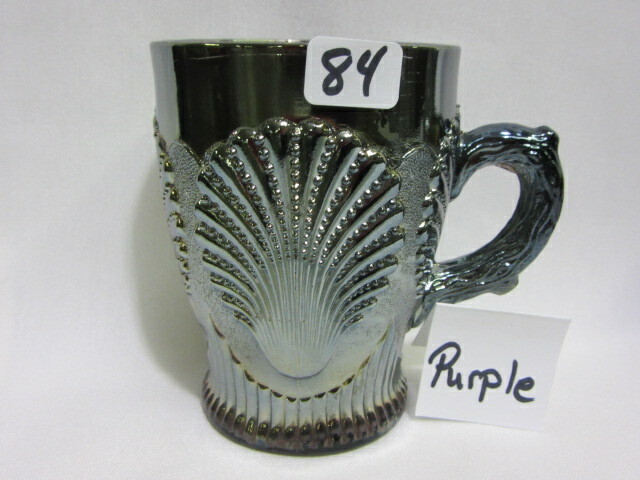 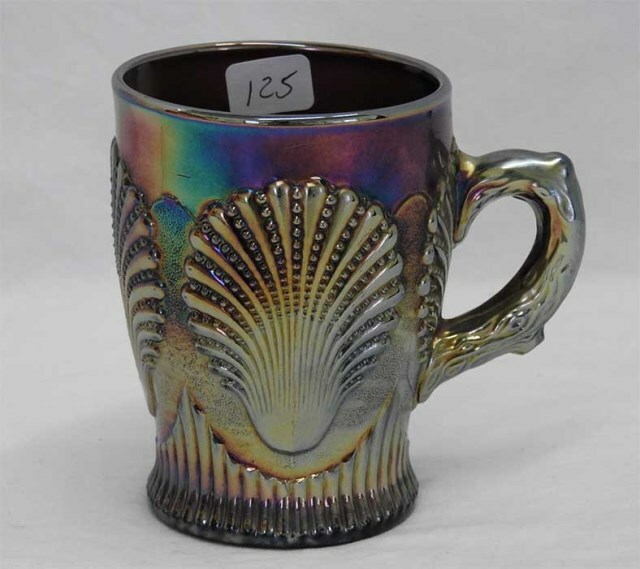 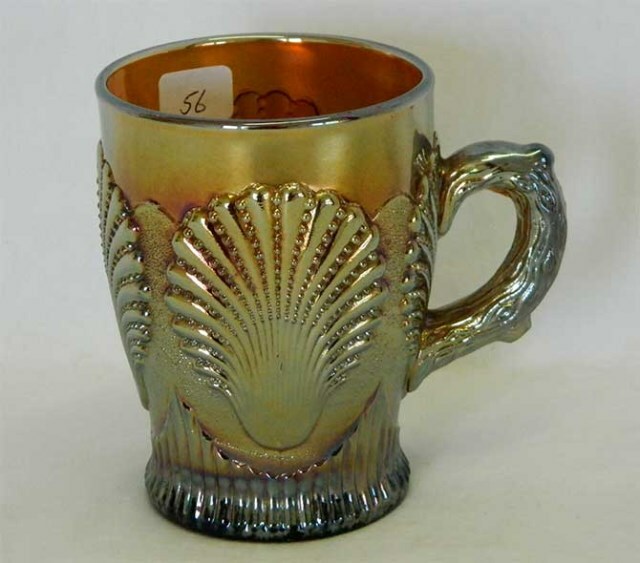 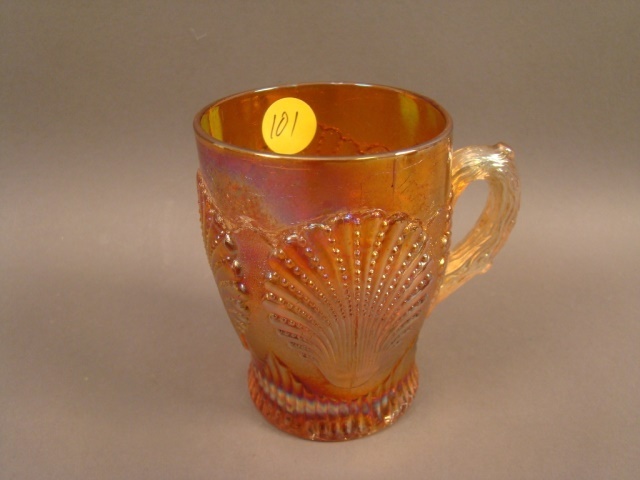 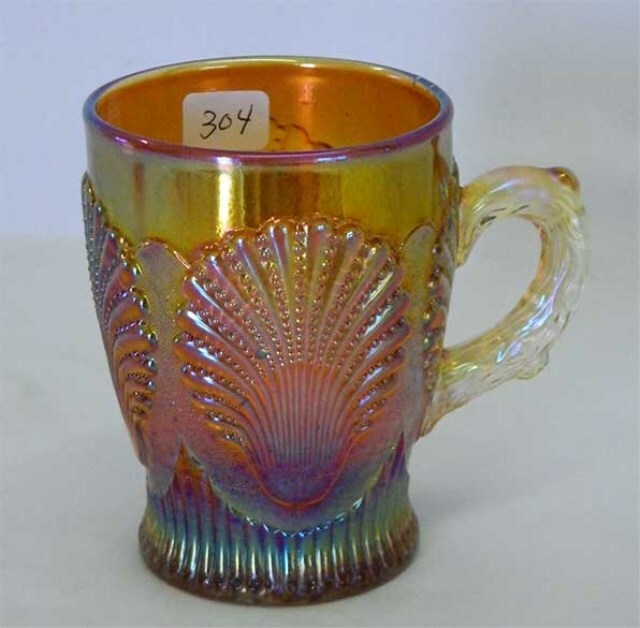 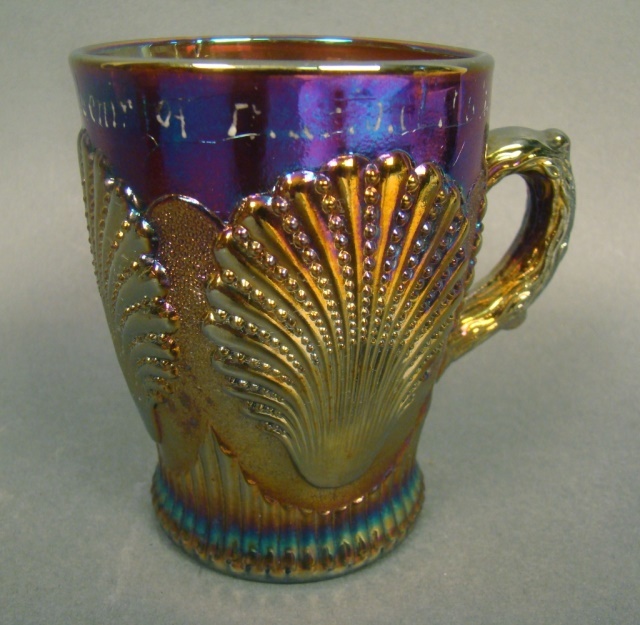 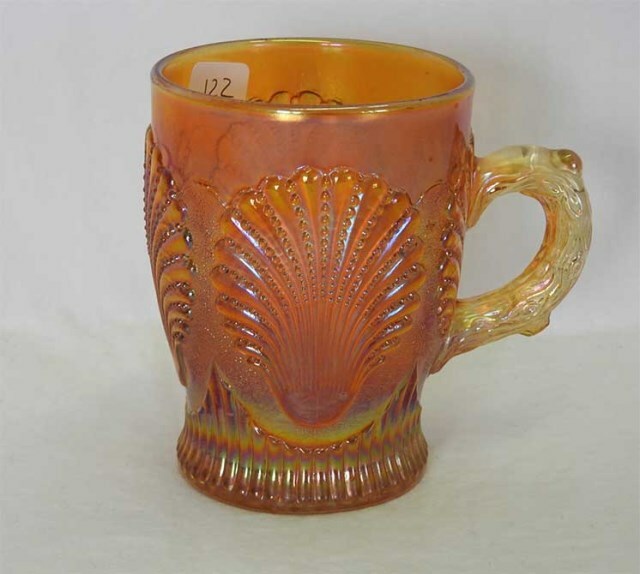 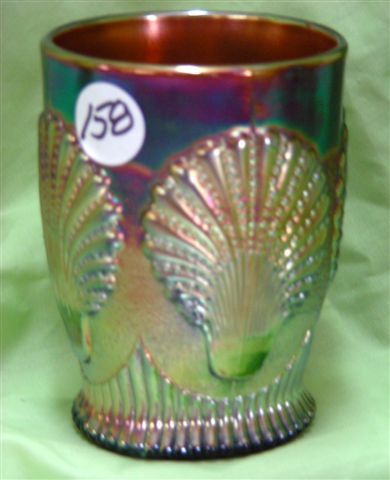 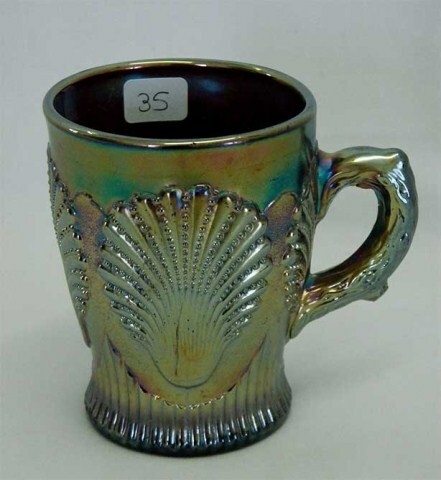 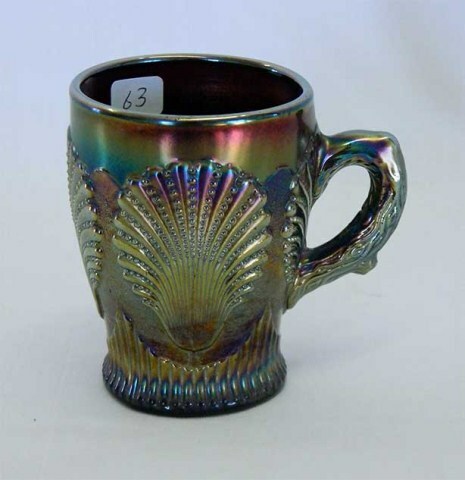 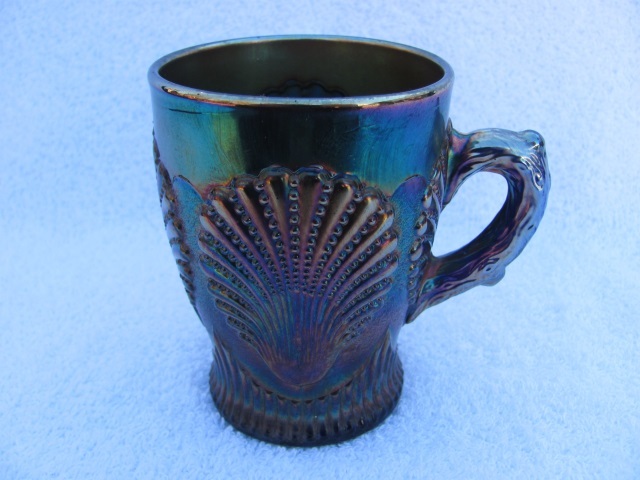 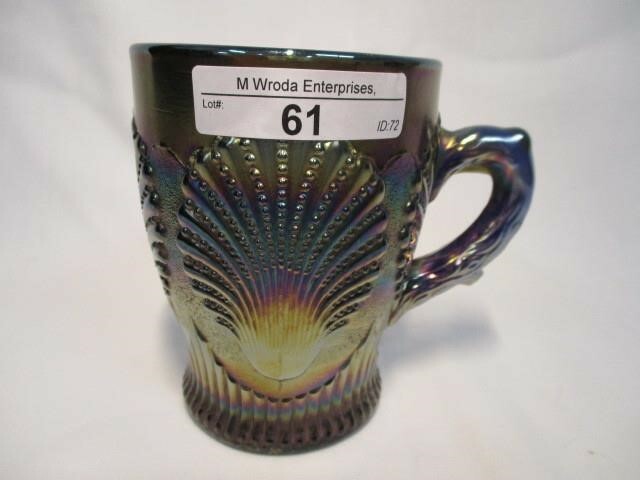 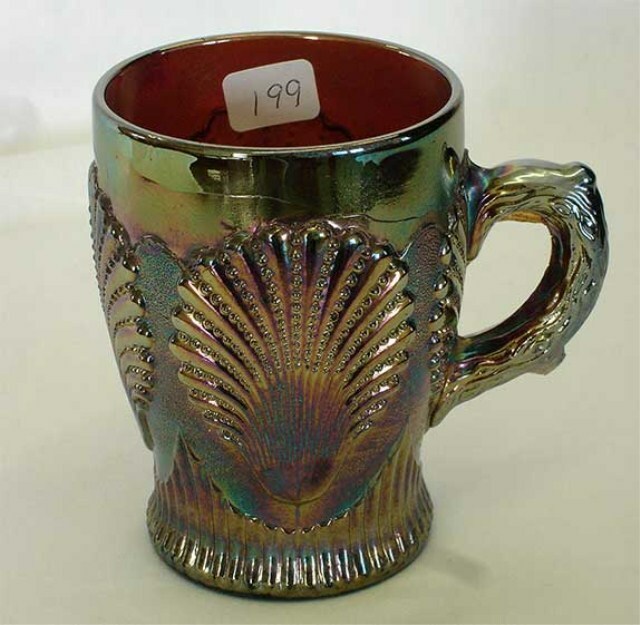 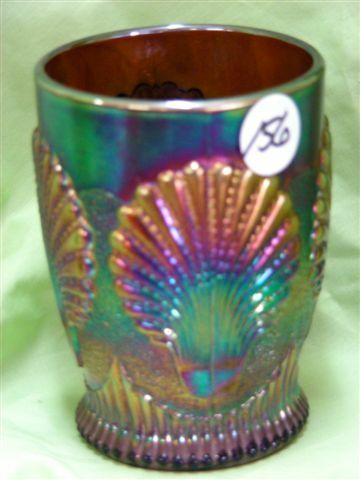 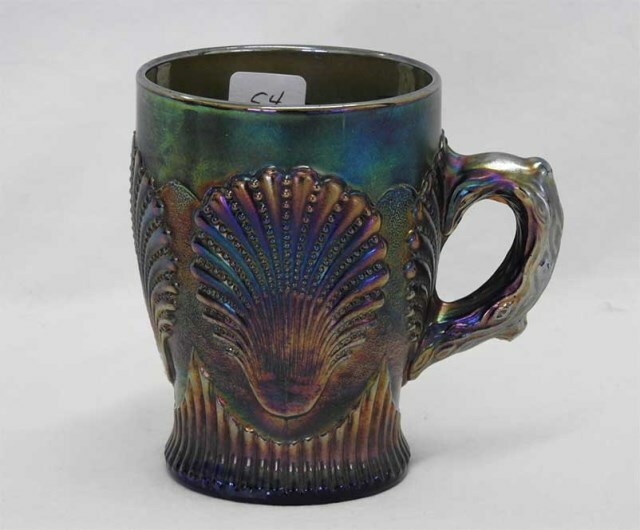 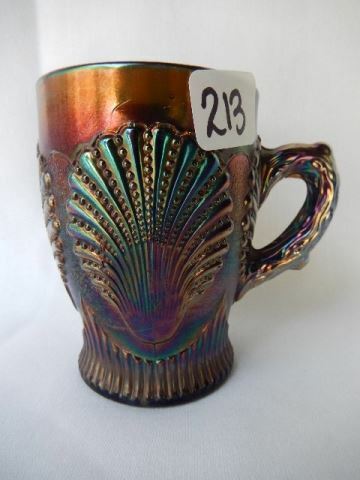 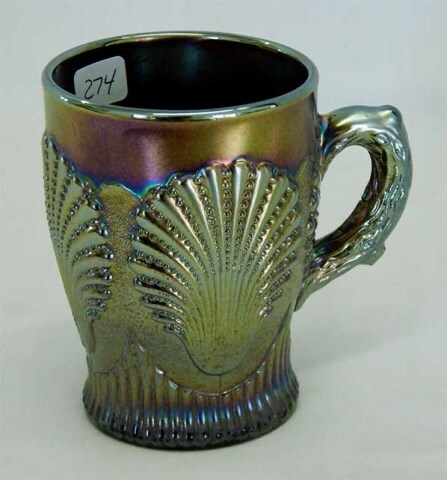 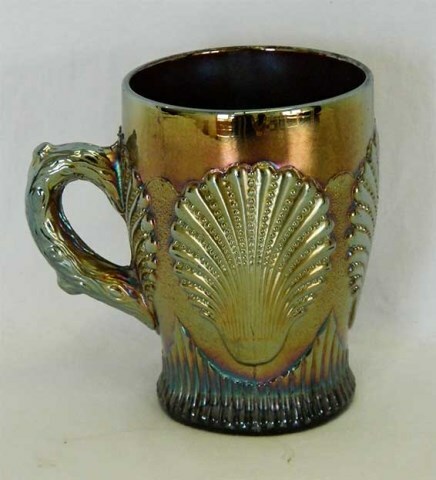 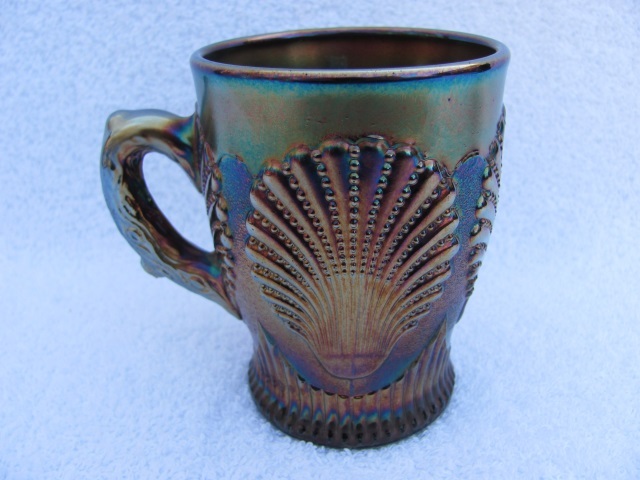 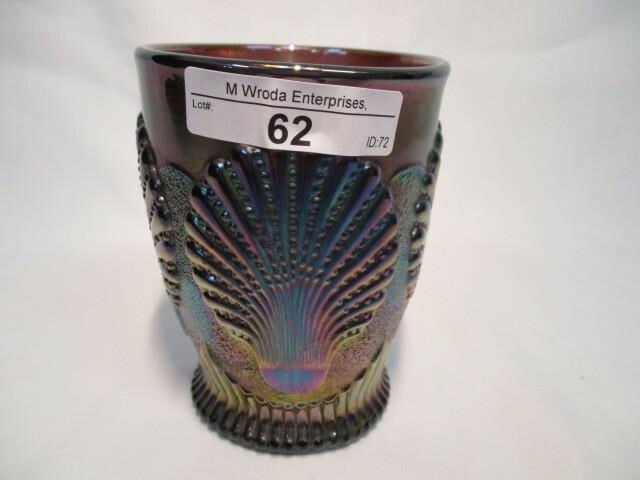 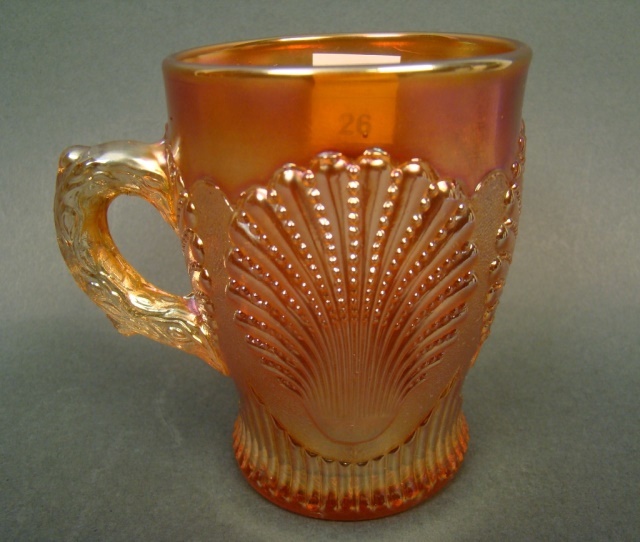 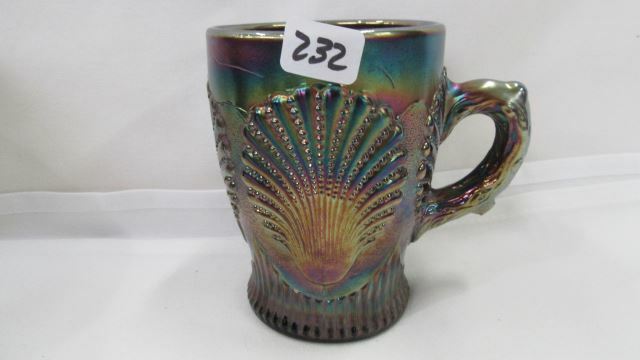 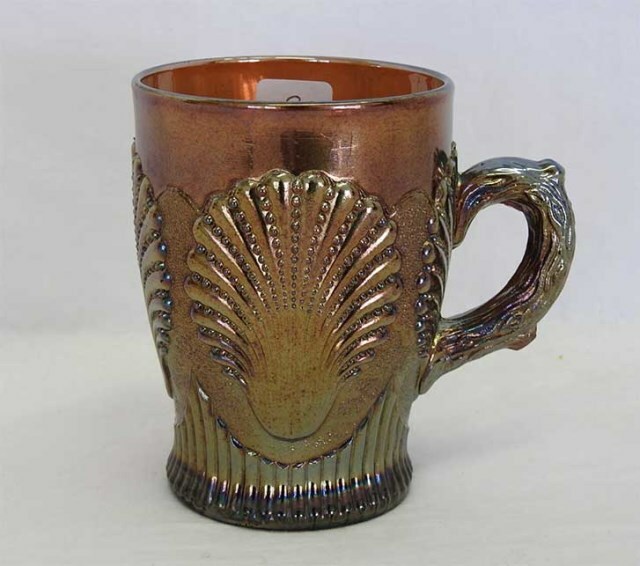 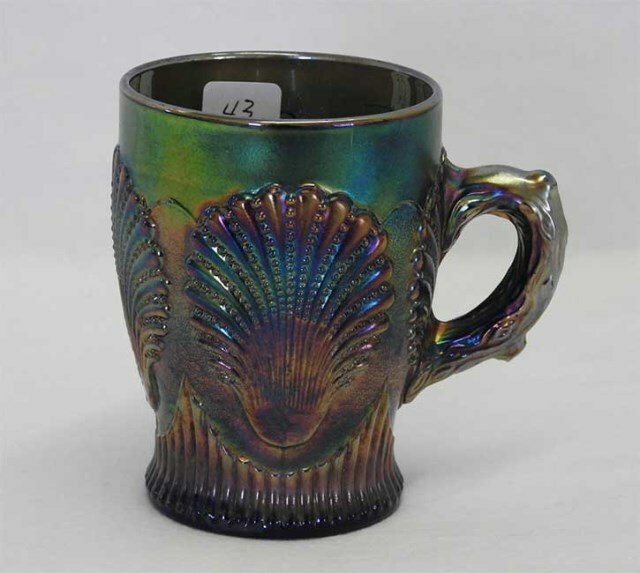 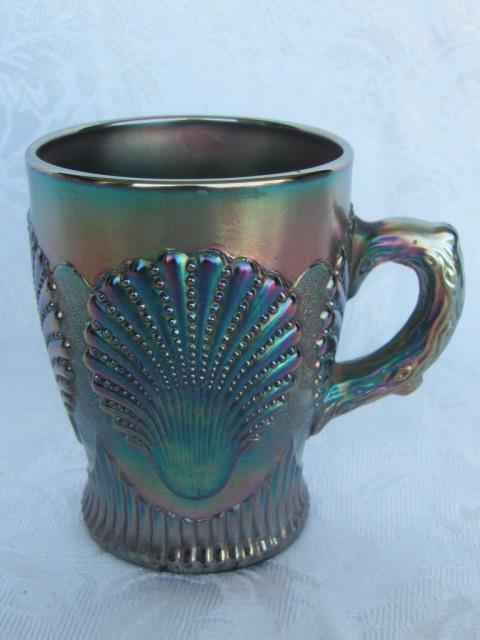 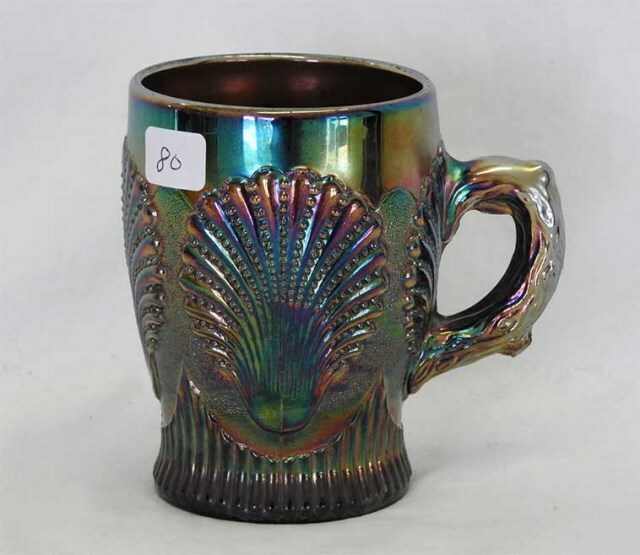 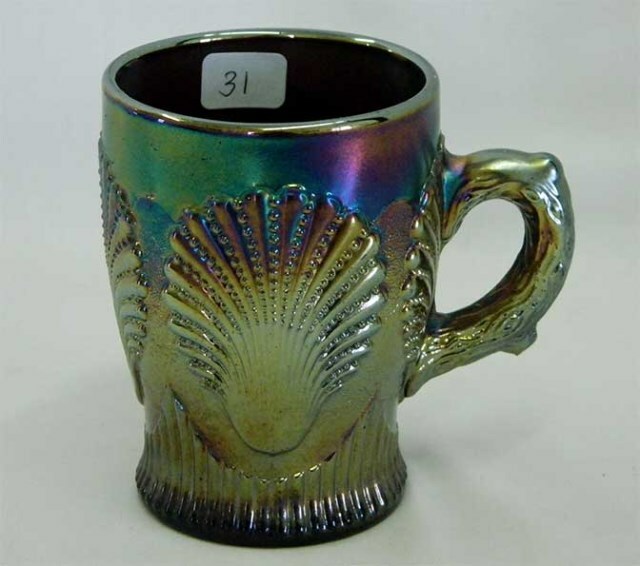 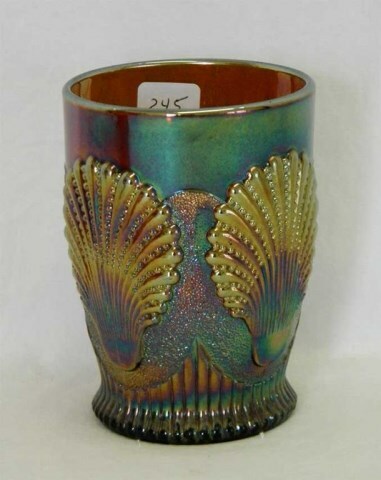 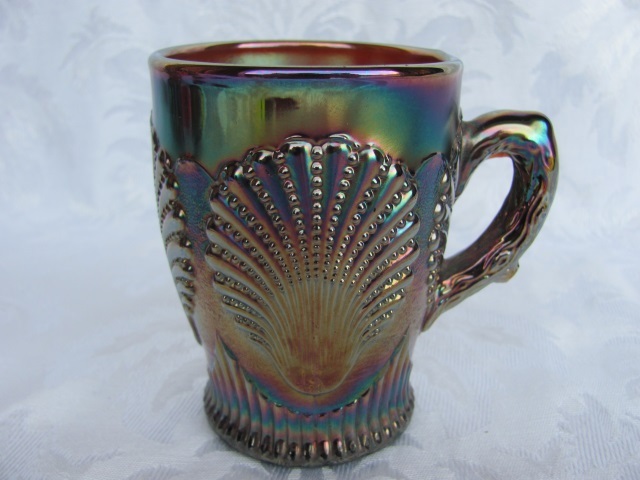 The Beaded Shell mugs are the most frequently seen shape in this pattern. 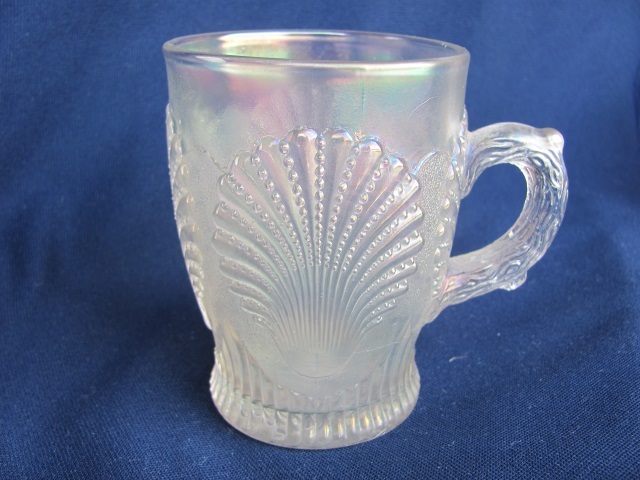 White is a particularly desirable color. 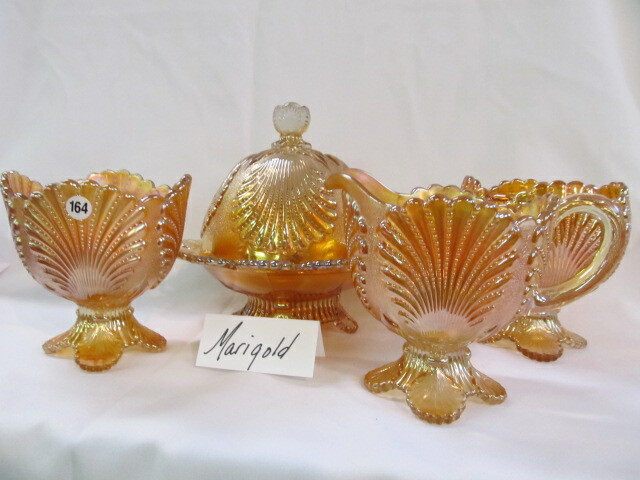 Above right are a spooner from the table set and a small berry or sauce bowl. 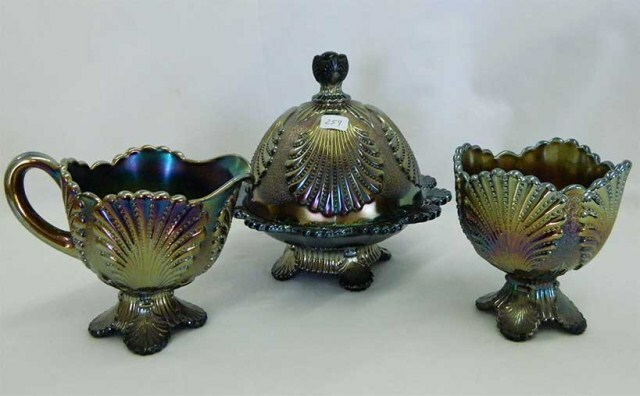 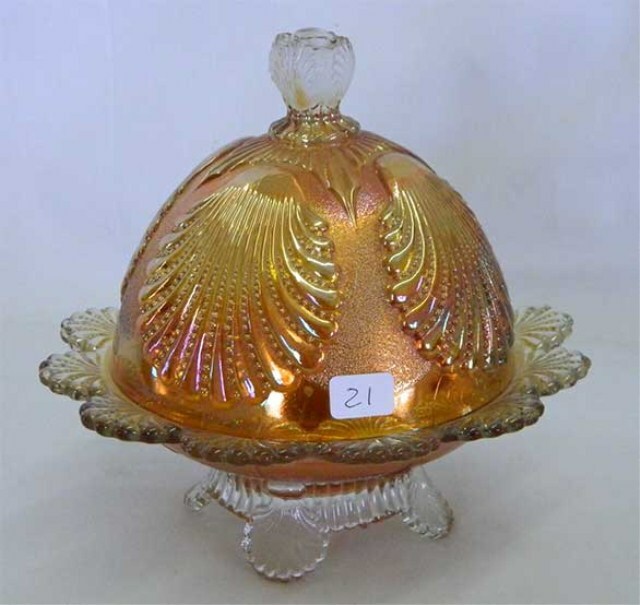 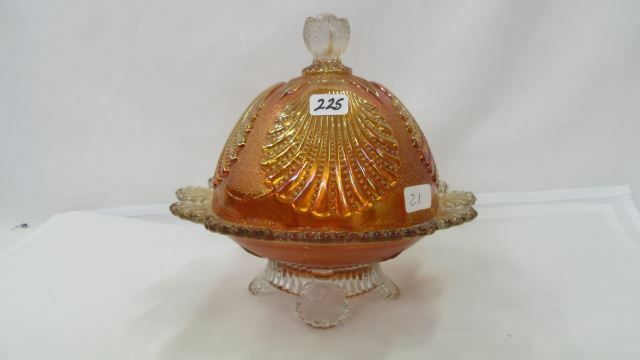 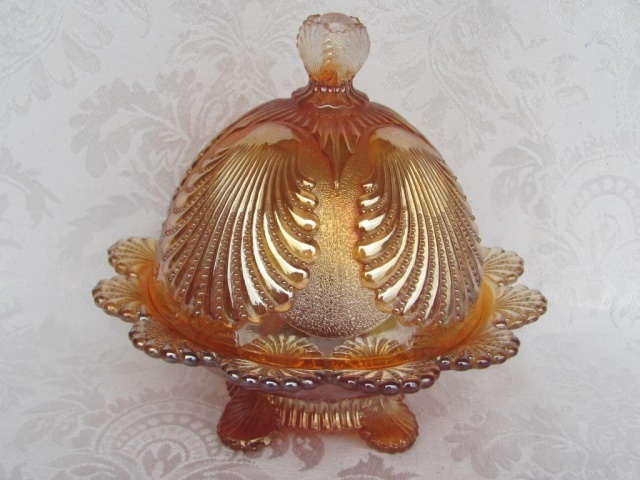 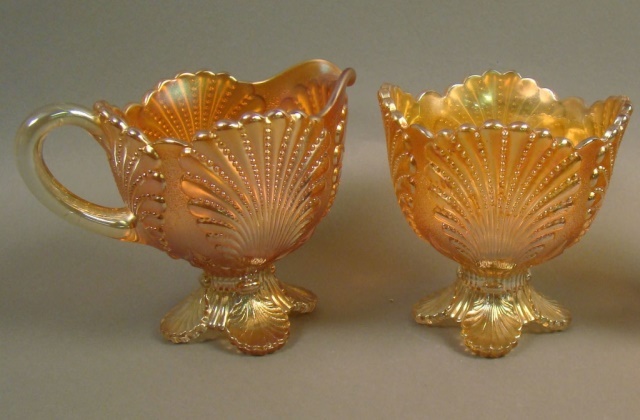 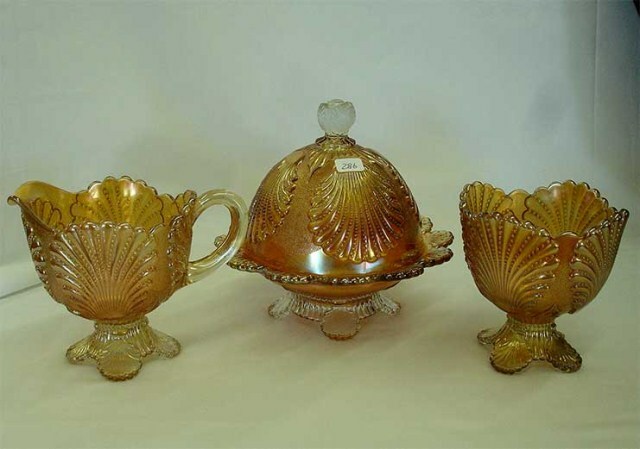 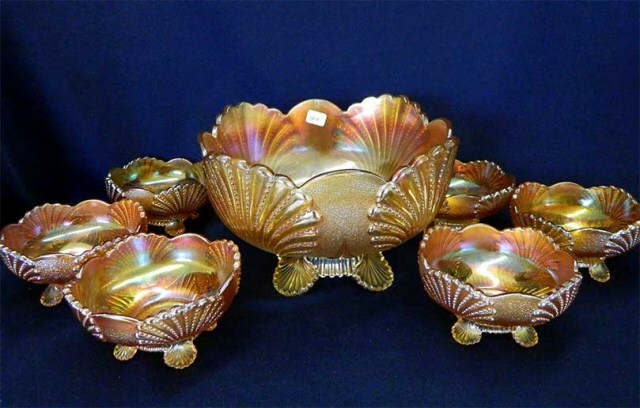 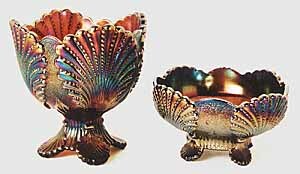 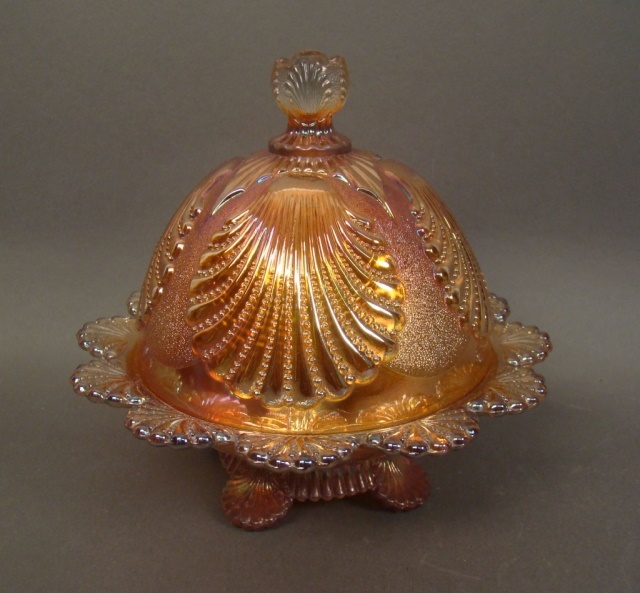 The spooner is typical of the way the shell design is applied to the other pieces of the table set except that the covers of the butter dish and sugar bowl have the shell pointing down. 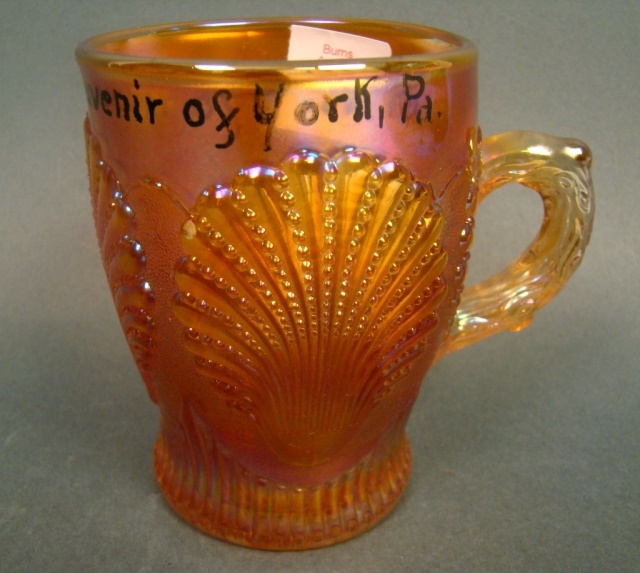 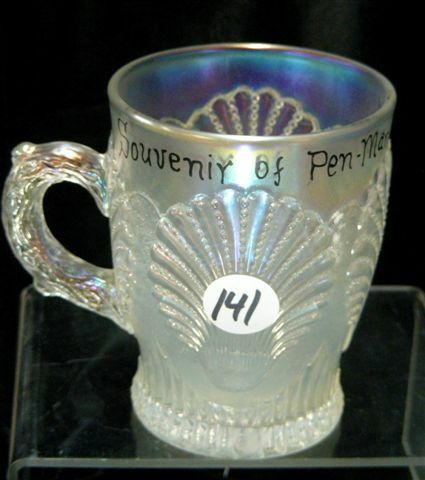 Mugs were used as the basis for contemporary souvenirs.